Want to resurrect your vinyl record collection, but need a turntable to play those gems? Data Doctor's Ken Colburn gives tips on how to find the best turntable for your needs. Q: I want to resurrect my vinyl record collection, so I need to buy a turntable. Any suggestions? 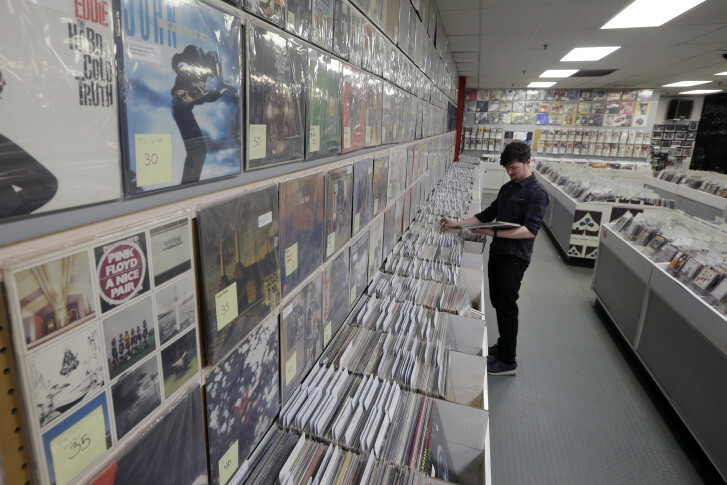 The “vinyl revival,” as it’s been called, has been growing for the past 10 years, and there are many reasons for it. For those of us who grew up pulling a record out, cleaning it and reading the liner notes while listening to the entire album, nothing in today’s digital music world comes close to that experience. It’s much the same reason that those who grew up with the tactile experience of reading newspapers and magazines still prefer it over e-books and reading online. Depending upon the quality of your sound system and your ear for sound, there can be a dramatic difference in what you hear — I typically describe it as a “warmer” sound. How you plan to listen to these vinyl gems has a lot to do with which class of turntable you should consider. If you don’t own any stereo equipment and plan on using your computer speakers, a Bluetooth enabled speaker or a TV sound bar, you’ll want to steer clear of a traditional turntable. A traditional turntable will require a traditional amplifier with a specific “phono” input on it because the output signal is very low. Newer turntables have a built-in “preamp” that boosts the signal enough so that it can be directly plugged into your computer via USB or to powered speakers or Bluetooth speakers commonly used by computers. If you have a surround-sound amplifier that lacks a phono input, you’ll still need a turntable with a built-in preamp. If you don’t want to limit your future options, look for a turntable that has a switchable preamp so it will work with older or newer amplifiers. Vinyl records have a consideration that pure digital music fans have never encountered: They wear out! The wear comes from the contact of the cartridge needle in the grooves of the record, which cost you in the long run. Cheap, especially all-in-one turntable solutions, use low-quality cartridges and tonearms that can wreak havoc on your vinyl collection. If you want to get the longest life out of both your vinyl collection and the turntable itself, look for something that is fully automatic, has a replaceable cartridge and an adjustable tonearm. Unless you’re a DJ or looking at more expensive turntables, you’re most likely going to end up with a belt-driven model. This is not to say that belt-driven turntables are inferior, as explained by Bill Goodman of Arizona Hi-Fi, one of the top 10 hi-fi stores in the U.S., according to Popular Mechanics. “In general, belt-driven turntables have less audible vibration because the belt absorbs the motors vibration,” Goodman said as he showed me a $16,000 belt-driven model. If you are looking to score a vintage turntable, don’t forget to shop your local vintage record stores. Legendary vinyl retailers such as Stinkweeds have been continuously selling vinyl for 30 years, and they offer both vintage and newer technology turntables.